Unfortunately, over 25 years worth of testimonials were lost when switching website providers. Therefore, we are now beginning to collect new ones all over again. -Tammy, just wanted to let you know you were right! I did get the job in the ***! I had asked you during one of your podcasts in November if I was going to get in. You told me yes, but not in my time frame, instead a little later down the road. You were right! Thank you… S.M. – I simply cannot say enough about my experiences with Tammy Deans. Upon moving to Sault St Marie in 2013 I had also begun an in depth spiritual inventory & subsequent growth. Without Tammy unknowingly facilitating said growth I would never have learned or felt as much as I was able to access and I firmly believe I would not have the life I do today. At first, I was a quiet patron in her shop. (I bought my first crystals for intended use there: A quartz point & a black obsidian point which I wore on a chain until they exploded from all the info I had picked up into them. Soon my research of the metaphysical went past crystals and I found Tammy’s weekly group. This group offered not only phenomenal guest speakers & info but also the kinship of like minded individuals. One of my “biggest” supernatural experiences took place at one of these nights. I amassed untold amounts of free info from Tammy during my visits to her shop. 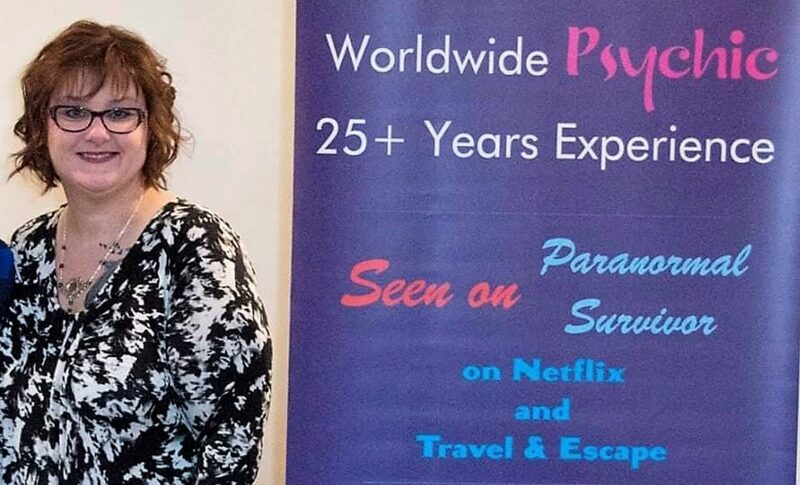 I can’t figure out why I didn’t hire her psychic services until I had left the Sault area. Nevertheless, once I did begin purchasing time with Tammy for different types of divination & psychic work I was blown away. The therapeutic value far surpasses any novelty of such service. My favourite is the Aura painting. Nothing compares to it. I encourage EVERYONE to do it at least once. The insight & confirmations of things I already knew but didn’t want to accept were made abundantly clear and offered me much comfort & strength. I am running through a list of my closest friends and family to encourage them to have an Aura painting done at my expense as I believe it to be of such benefit. It was a fun and entertaining experience having a tea leaf and mini tarot reading. – Ryan W.